Busy weekend? The Heels Down Rewind has you covered with everything you need to know to stay up-to-date on current equestrian events. All of the good stuff, none of the fluff. Check back every Monday for more. The legend himself, Rothchild! The iconic duo of McLain Ward and Rothchild did what they do best to win the $225,000 CSI4* Sapphire Grand Prix of Devon on Thursday. Clocking in at 41.21 seconds, Ward and Rothchild were almost a full second faster than 2nd place finisher, Devin Ryan. Throwing his classic sassy buck after crossing the timers, the crowd was thrilled to watch Ward win with his longtime partner. 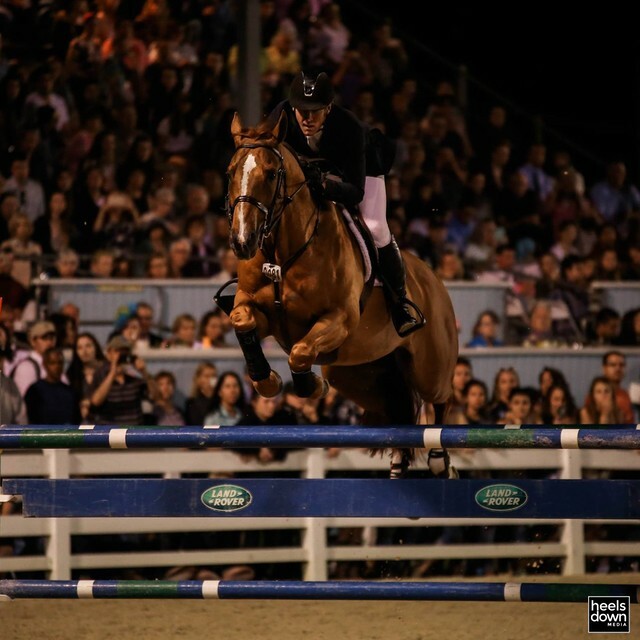 Last year, in the very same Sapphire Grand Prix, the pair were well on their way to the win when the crowd’s excitement caused Rothchild to lose focus and run out at the very last fence in the jump off. Having quieted the crowd this year, McLain and Rothchild were victorious making this an extra satisfying win. You go, Christian Ahlmann. Aboard 10-year-old Zangersheide stallion Caribis Z, Ahlmann took the top spot in the Longines Grand Prix at the Longines Athina Onassis Horse Show in St Tropez, France. The German rider produced an incredibly fast jump off crossing the timers in 36.43 seconds to narrowly beat Belgian rider Jérôme Guery’s time of 37.36 seconds. Ahlmann was 2nd to John Whitaker last year in this class, which makes the victory that much sweeter. You can watch Ahlmann’s winning round on Caribis Z here. It was not the day for our leading ladies in St Tropez as the top 6 finishers in the Longines Grand Prix were men. Laura Kraut (USA) and Confu finished in 7th as the highest placing woman and Alexandra Thornton (GBR) was close behind in 8th. Penelope Leprevost finished in the 19th spot on Vagabond De La Pomme, fresh off of an exciting victory earlier in the week in the Prix Premiumares. Young rider Emily Moffitt (GBR) finished 31st on Galip, followed by Jessica Springsteen(USA) in 32nd on Cynar Va out of a class of 38 riders total. 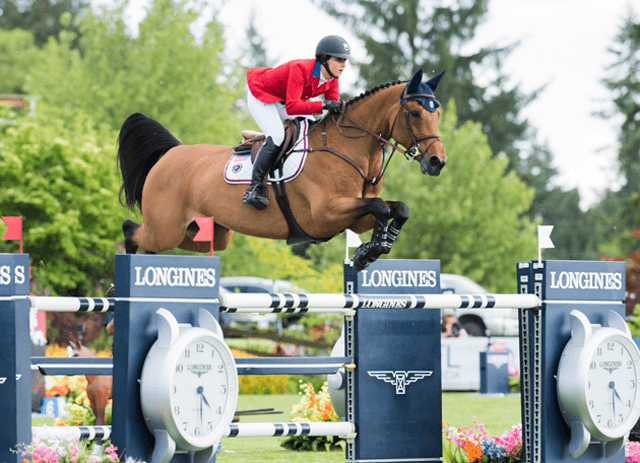 It was a tight race up until the end, but Team USA topped the podium in third and last leg of the FEI Nations Cup™ North America, Central America and Caribbean League in Langley, BC (CAN). The Americans took a substantial lead in the first round of competition, but Team Canada fought back to add nothing to their score in the second round and finished in 2nd place overall. Ireland took 3rd, just ahead of Mexico 1 in 4th place. There were just two qualifying spots up for grabs for the 2017 FEI Nations Cup™ Final in Barcelona, Spain and it was anyone’s game as to who would get them as the USA, Canada and Mexico went into Langley with only a 20 point difference overall between 1st and 3rd rank. The final standings see Team USA in 1st with 280 points, Team Canada in 2nd with 250 and Team Mexico just narrowly behind with 240 points. With just a 10 point difference, Team Mexico narrowly missed qualifying for Barcelona. Sitting in 2nd overall behind Team USA after their incredibly home soil victory last month, today’s 4th place finish was not enough to hold their position and dropped them behind the Canadians.